Polaris Custom Homes is serving as the exclusive builder for Wellsgate Terrace of Keller in order to ensure the highest level of quality craftsmanship as well as upholding the congruity & overall integrity of this luxury community. Carefully selected for their quality craftsmanship & acute attention to detail, Polaris Custom homes is also distinguished by their ability to implement complex architectural details of all styles and aesthetics. Brian Demma & his fellow founder have built close to 1000 homes in Dallas / Ft Worth and the Surrounding areas. Polaris builds homes with a variety of design features, architectural designs and sizes to best suit your needs. They have built homes from 3000 sqft to 16,000 sqft and have constructed homes up to $5 Million. Polaris can work with a multitude of designers, architects, engineers and agents to bring your dream a reality. Before founding Polaris LLC, Brian worked as a corporate trainer and internet sales director for one of the largest private homebuilders in the United States. Prior to his experience in construction, he spent 12 years in Information Technology working for the 2nd largest computer manufacturer in various support and customer service roles, the 2nd largest Internet Service provider and finally as a Network Administrator for a Dallas based software developer. Brian also spent a number of years working as an REO Asset Manager for a number of Fortune 500 Banks managing various real estate portfolios in excess of $85 million. During his time in Information Technology, Brian spent his weekends purchasing, managing and remodeling rental homes. It was during this time that his love of construction compelled him to pursue a full time position in the industry. Brian graduated with a Bachelors of Business Administration in Marketing from the University of Texas in Arlington as well as a Masters of Business in Strategic Leadership from the University of Dallas. For 7 years, Brian served on the Board of Directors for ReadyStart, a nonprofit devoted to helping children with developmental disabilities. His tenure included a year as its Vice President and a year as its President. Along with other Board of Directors, Mr. Demma worked to merge Readystart with Launchability, another Dallas based Non Profit who not only helps children with disabilities but adults as well. Brian proudly served on the Board of Directors for Ready Start and Launchability from May 2006 until December 2016. 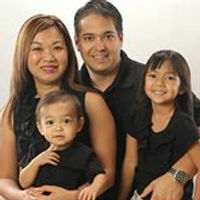 Brian currently resides in Keller with his wife, daughter & son. Other luxury residential projects include the gated community of Saddleback Ridge Estates of Southlake, Manors of Waterford in Keller, Park View of Keller and the gated community of Oakleigh in Colleyville. Additionally, Polaris Custom Homes has completed projects in Frisco and San Angelo, Texas.